Metcalfe Rock is, and has been, an important place to Free Spirit for many years. For those of you who have never been, it’s totally worth the trip! Metcalfe is part of the Kolopore Uplands with trails that run in and among the Niagara Escarpment. In our humble opinion, it’s a magical place and it’s become a sort of ritual to return to the caves with our students each year. Risky play is a huge part of what we do at FNS. It takes many different shapes, but always involves pushing limits and comfort zones in a thrilling and exciting way. It’s about testing oneself – and finding out what happens. During risky play, children not only experience an element of danger – actual or perceived – but they also risk receiving the potential benefits. With this in mind, it’s not a free-for-all in the caves, but a calculated adventure supported by the educators. So why do we do it? Well, first of all it’s fun! Metcalfe is a surreal place full of magnificent crevice caves. It’s a step back in geological history where we literally go inside rock that is 450 million years, that was then carved and shaped by the last ice age. It’s also a place with rich cultural history and ancient trees and it’s a recreational haven you could explore for a lifetime. Not to mention you can also drink from natural springs! All of this and more, right in our own “backyard” (yay for place-based connections!). Now why do we really do it? Aside from some obvious science, history and geography lessons we teach and the nature-connections we make, it’s also about personal growth for us. 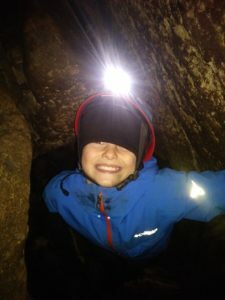 While caving, we push ourselves to expand our comfort zones. We find our limits and respect them, but sometimes push them, too. 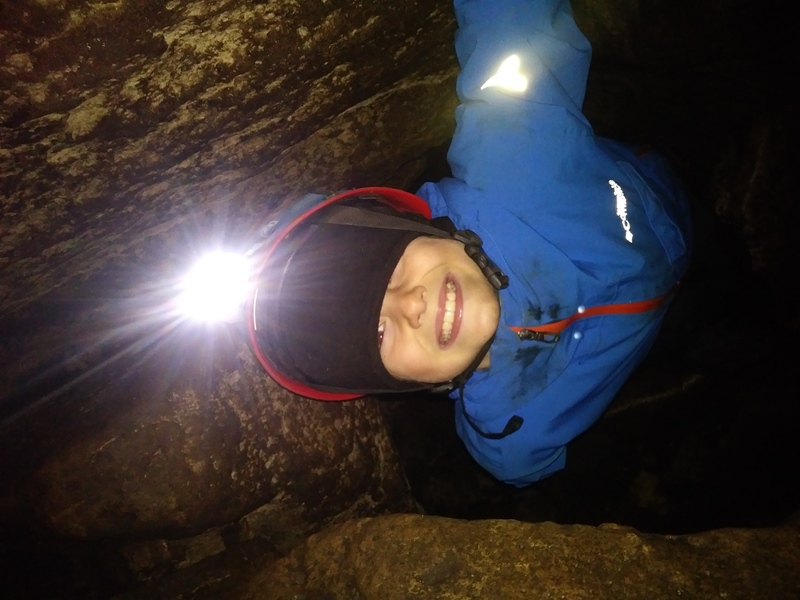 Not only are we developing physical literacy, we are building self-esteem, confidence and our socio-emotional self…all while caving! 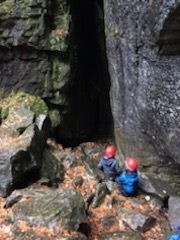 As with everything we do, caving is challenge-by-choice for our students, and heavily front-loaded. Taking risks is integral to whole-child development, well-being and health. Exploring the caves is a great way to target this while teaching how to independently manage risks and be safe. We see trust developing, teamwork, encouragement and support. We see a shift a group dynamics, new friends, and leadership… we tend to see a different group leave then that which arrived. And this is why it is so important to us.